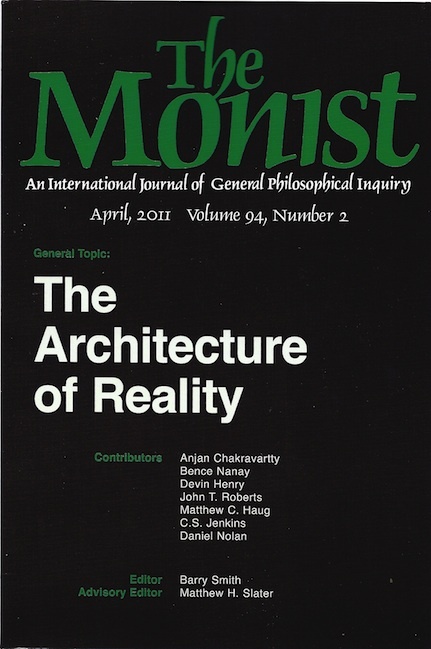 My hat's off to the contributors, who wrote what I think are some really interesting papers and were a pleasure to deal with throughout the editorial process. Thanks for your hard work on this topic! Thanks as well to the dozens of referees, who slaved away in anonymity to provide the authors and me with valuable feedback. 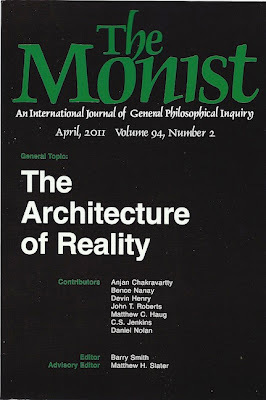 Likewise, it was a pleasure working with Barry Smith and George Reisch at the Monist Mothership. I just looked back into my email and see that it was in late June 2007 that Barry asked me to design an issue around the theme "Carving Nature at its Joints". It so happened that I was in the planning stages of a conference on that theme which was to have an associated volume with precisely that title. I was delighted to be asked to edit an issue, but somewhat panicked at the thought of editing two distinct volumes with the same name. (In retrospect, I kind of wish I had just for novelty's sake.) In 2007, the issue's release date of April 2011 seemed flying-car, hoverboard distant — a different decade! The future is now.